For incoming cables on a metal consumer unit. Provides additional support and supplementary insulation similar to Class II construction. 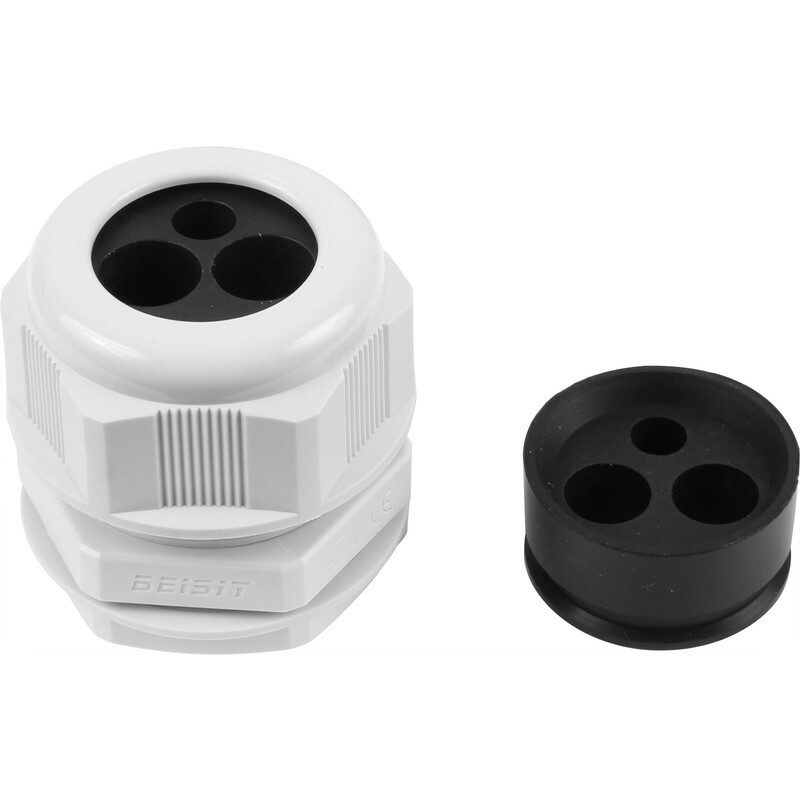 Suitable for 16mm2 or 25mm2 cable. Consumer Unit Cable Gland Kit 32mm Nylon is rated 5.0 out of 5 by 7. Rated 5 out of 5 by Alasdair82 from Good Quality Product Bought this for fitting tails to a metal consumer unit. Good and sturdy much better than the plastic alternatives. As an electrician will recommend to others. Rated 5 out of 5 by Hotpot Dave from Does the job Holds the meter tails nice and tight, easy to install, bit pricey, but excellent product.